The robot is equipped with an automated tactical positioning system and can operate autonomously on and off road, at speeds up to 17 km/h. and can carry a payload, including light armor shield to protect vital systems. The rotating robot head can carry a wide variety of sensors, including video and thermal cameras, with auto-target acquisition and capture, sensitive microphone and two way radio. 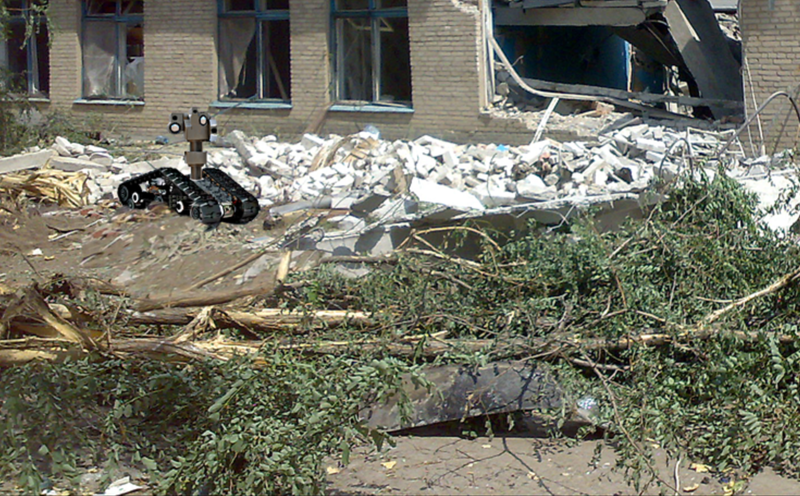 The Robot can be equipped with lethal or less than lethal weapons which can be directed and operated from the main control center or on routine patrols, ambushes or operating in response to events received from an early warning or perimeter defense system. 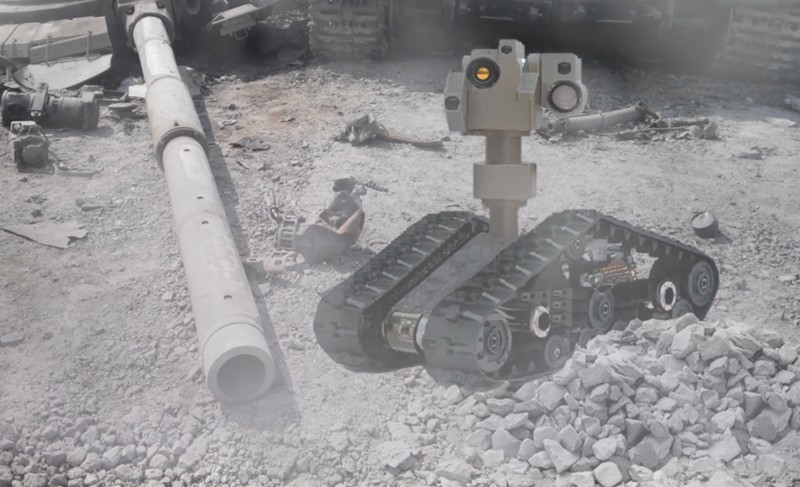 The Robot is provided with automatic tactical area definition, by terrain, doctrine and intelligence, which assist in preparation of the operational planning and can also be manually controlled by remote control. A robot is extremely suited for border surveillance and coastal protection, thanks to the ability of cameras detect man-sized targets several kilometers away. He is operational 24 hours a day even in the darkest of nights, dense fog, snow, smoke. Protecting a country’s borders is vital to its national security. It is however very challenging to detect potential intruders or smugglers in total darkness, in the most diverse weather conditions. The robot with thermal imaging cameras can help border control professionals to meet the demands they face at night and in other low-light situations. Objects which are at a close distance can be seen with much more detail. You can see what people are carrying and is no need any more to take a closer look since small details can clearly be seen on the thermal image. All sensors on the systems units are mounted on an accurate Pan & Tilt unit. They can be connected to RADAR in a “slew to cue” configuration. 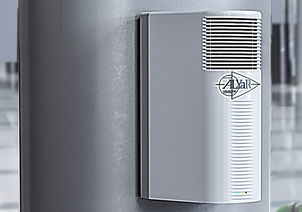 Powerful daylight imaging camera - the Multi-Sensor systems feature different powerful and sensitive daylight cameras with excellent zoom and color quality for additional target identification when conditions permit. Displaying both the thermal image and the daylight image at the same time is also possible. 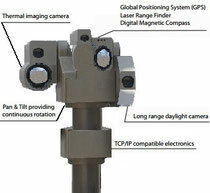 Programmable search - the Multi-Sensor systems can be programmed to scan an entire area automatically. This not only ensures that the entire area is being monitored but also reduces operator workload. Tailored to all needs - different thermal and daylight cameras can be installed in systems the robot. The GPS and Digital Magnetic Compass are optional. They can also be equipped with an Automatic Video Tracker.